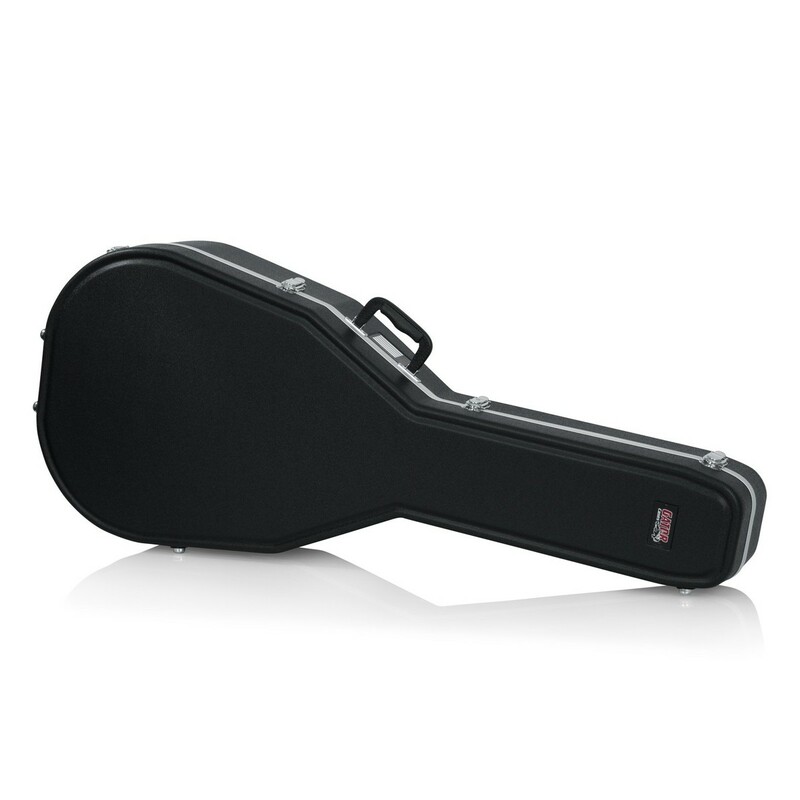 The Gator GC-JUMBO Deluxe Moulded Case is designed to accommodate most jumbo-sized acoustic and electro-acoustic guitars. 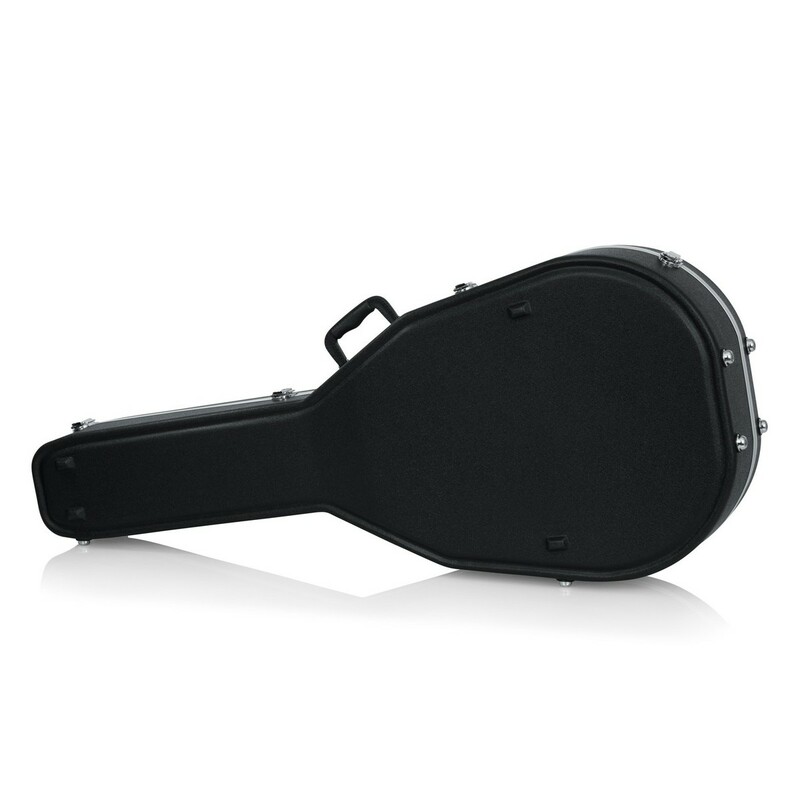 The deluxe impact-resistant moulded ABS exterior features a heavy-duty aluminium valance for exceptional alignment and durability, whilst the EPS interior is equipped with a deep plush lining, providing superior protection. 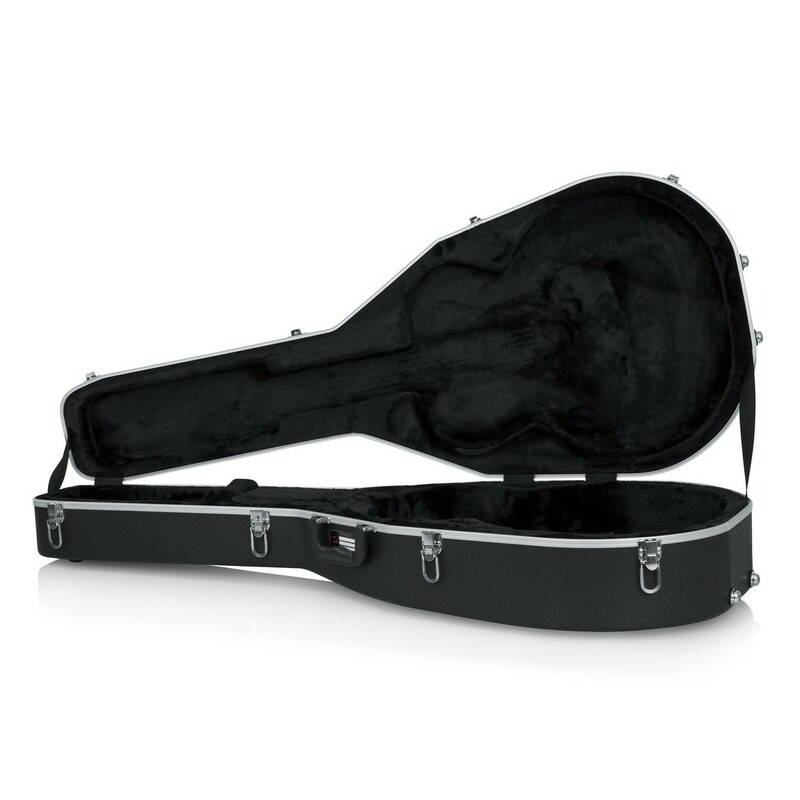 This lockable case is equipped with triple chrome-plated hardware and a rugged through-bolted carry handle, ensuring exceptional security and reliability. 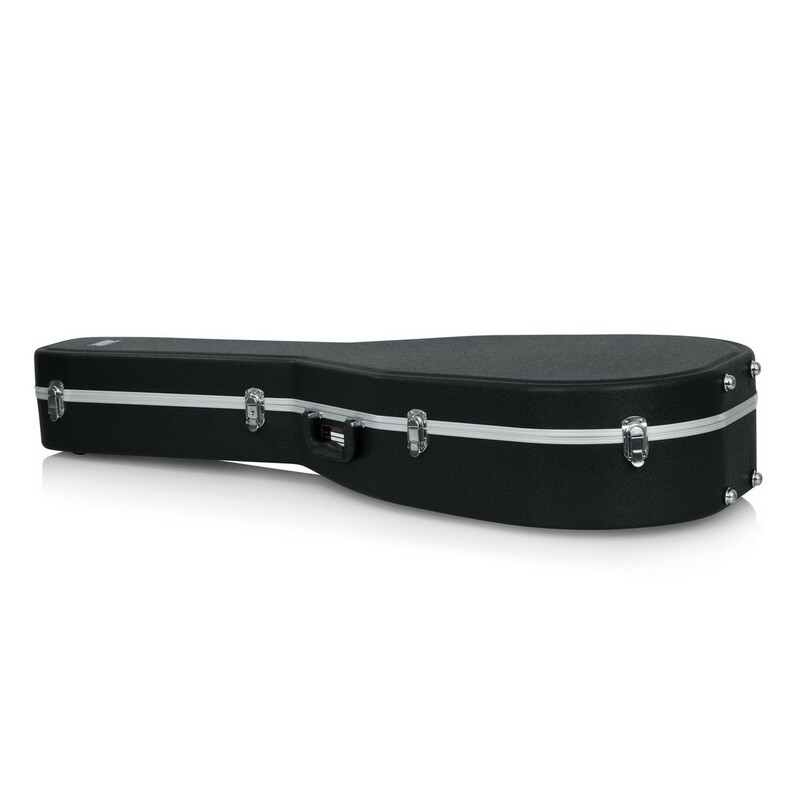 The GC-JUMBO case is the perfect solution for any guitarist looking for an exceptional transport and storage solution for their instrument. 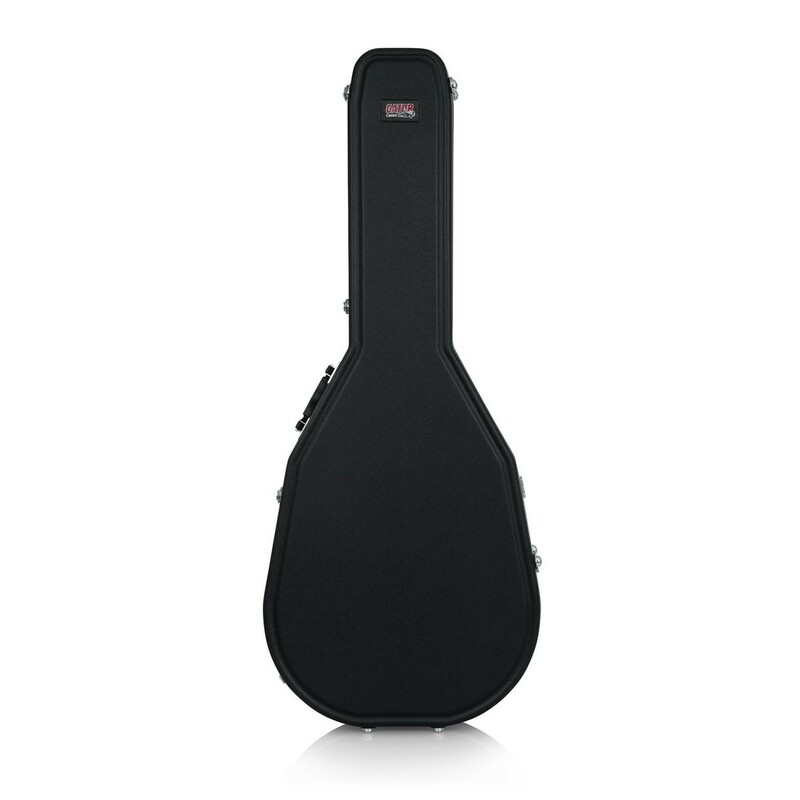 Please Note: The images shown are for display purposes only, and the Gator GC-JUMBO does not include the guitar(s) or accessories depicted within the images.